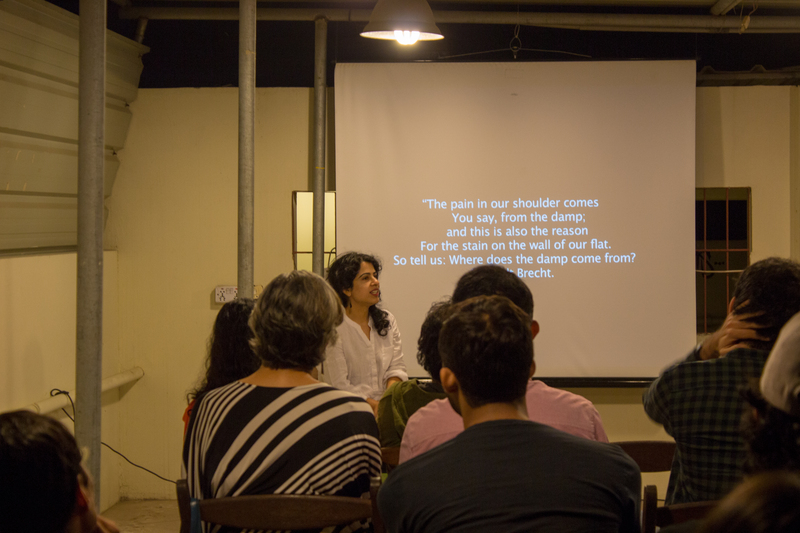 In her new work as part of a Vasl residency, Hira Nabi explores Gadani’s ship breaking yard as a site of fractured stories and contesting truths. 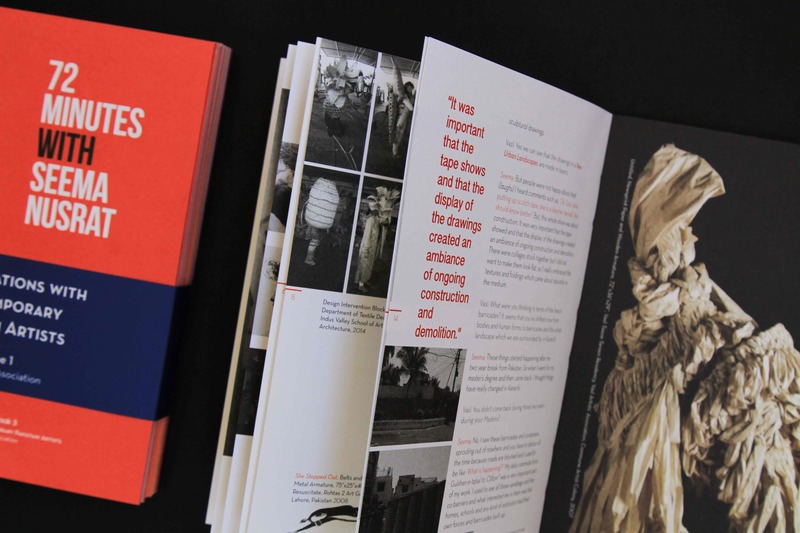 Her research and work comes out of an ongoing preoccupation with labor, networks of capital and movement, human vulnerability and a re-centering of the environment as a primary site of investigation. 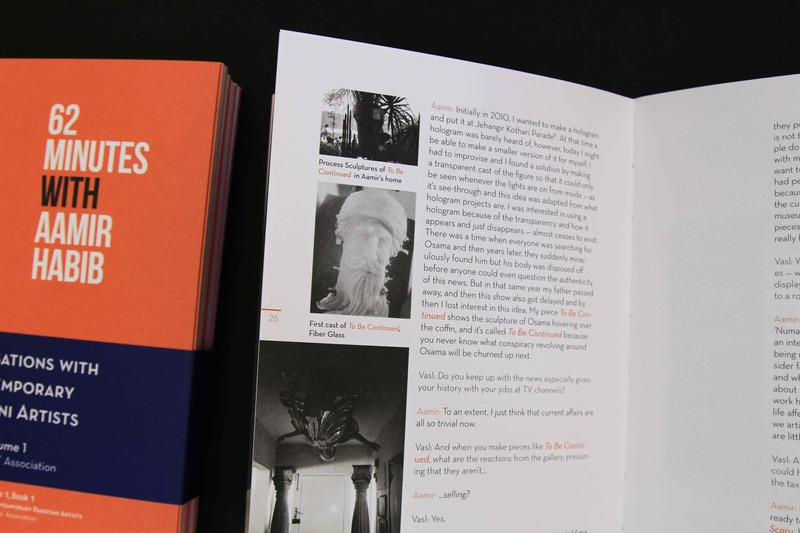 This work revisits different, and often contrasting narratives on accidents, ownership of ships, and ways of existence. 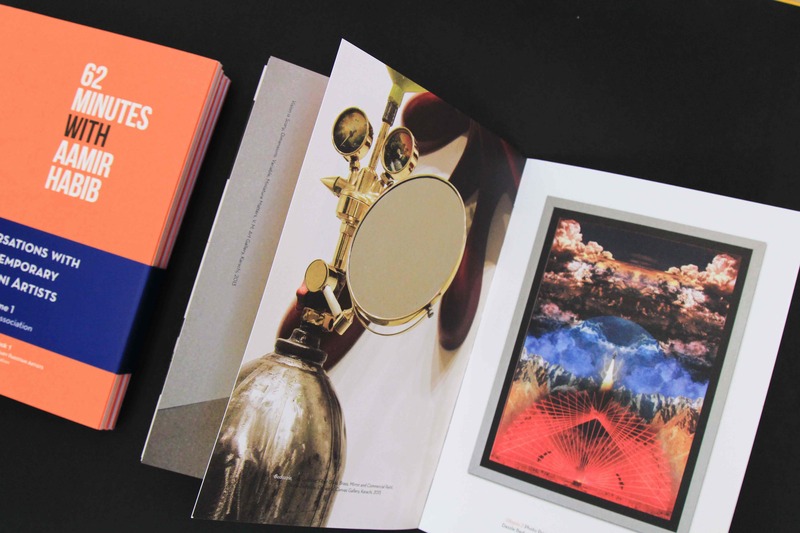 It contemplates the surrealist surroundings with the quotidian workplace occurrences that remain universal concerns. 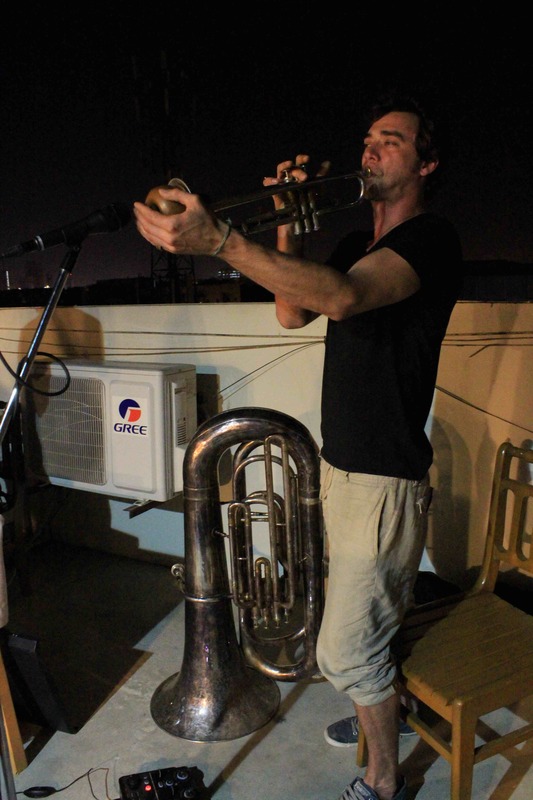 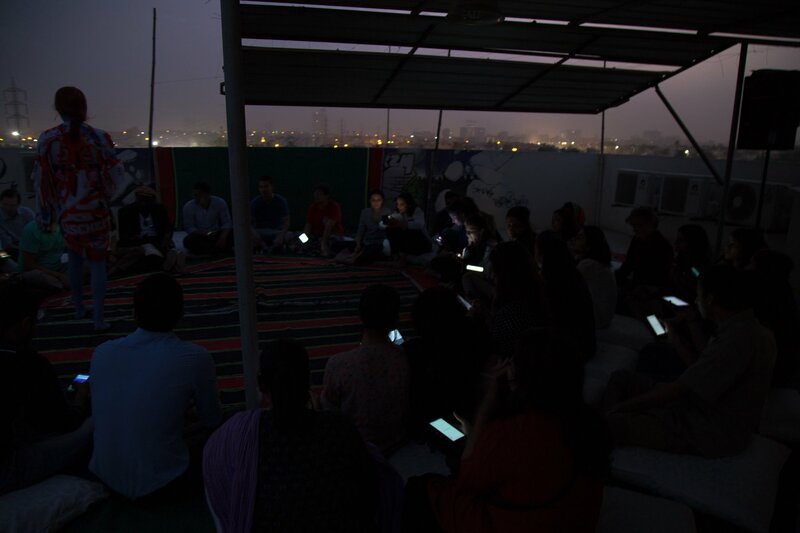 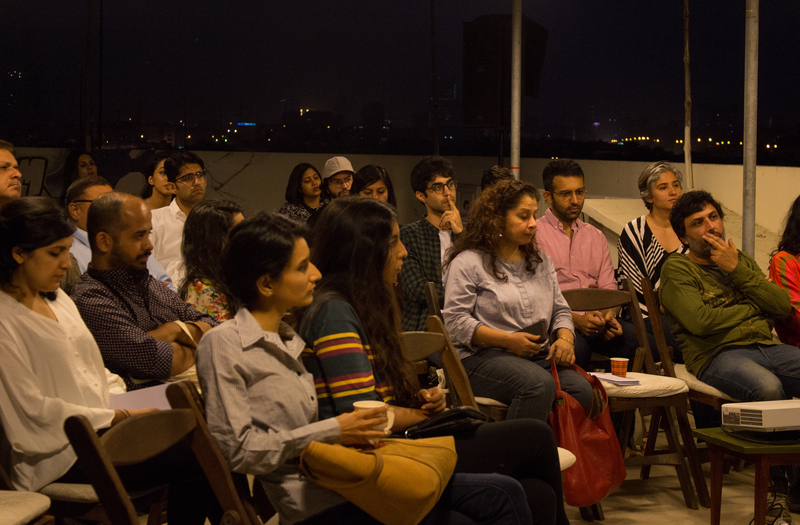 Vasl Artists’ Association in collaboration with Goethe-Institut Pakistan hosted a performative lecture by our artist in residence Johannes Paul Raether on the Vasl rooftop. 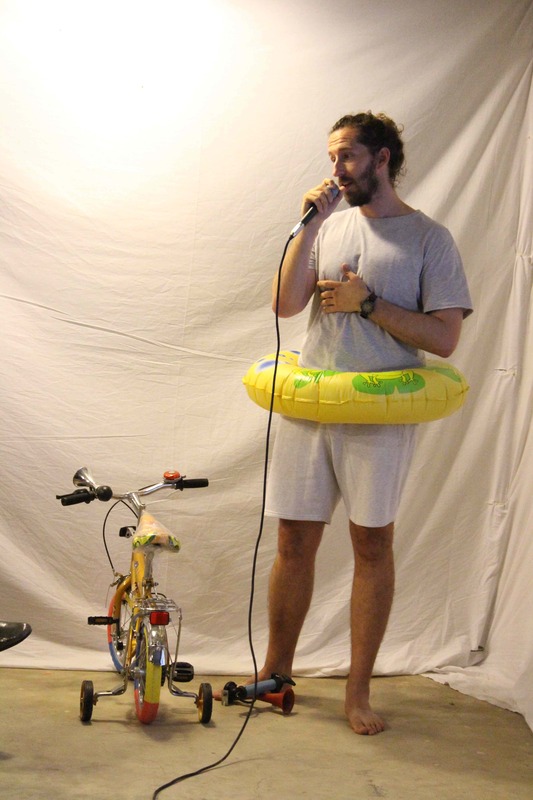 Johannes Paul Raether lives and works in Berlin. 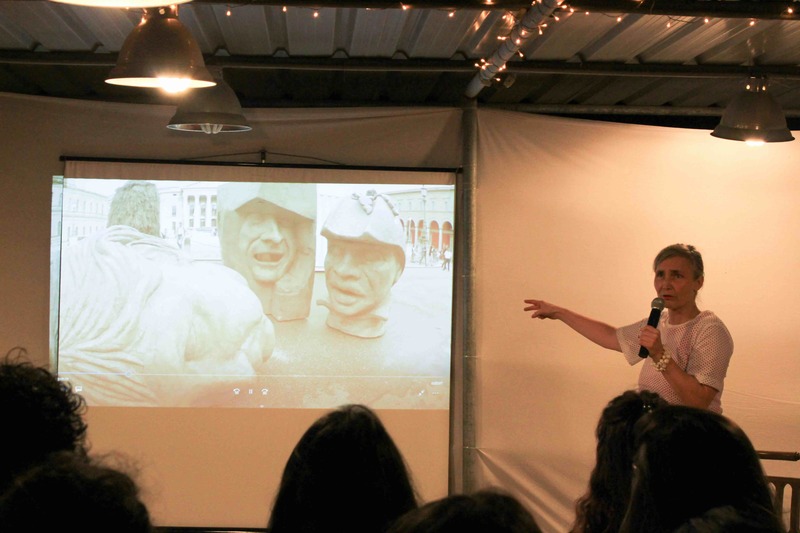 His works are constructed identities (Avataras, AlterIdentities or SelfSisters) emerging at various sites in public space where they research, teach and tell stories. 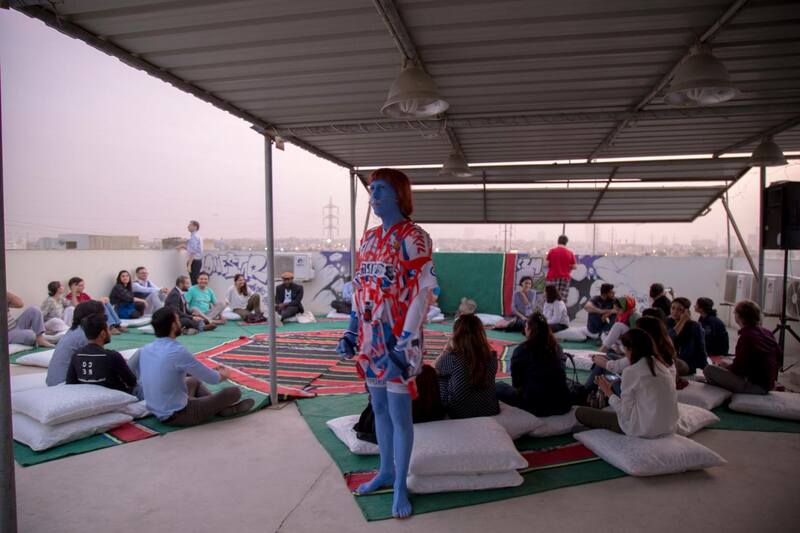 As colourful beings, made up from everyday objects, they discuss complex topics such as bio and reproduction industries, globalized tourism or occult substances in contemporary technology. 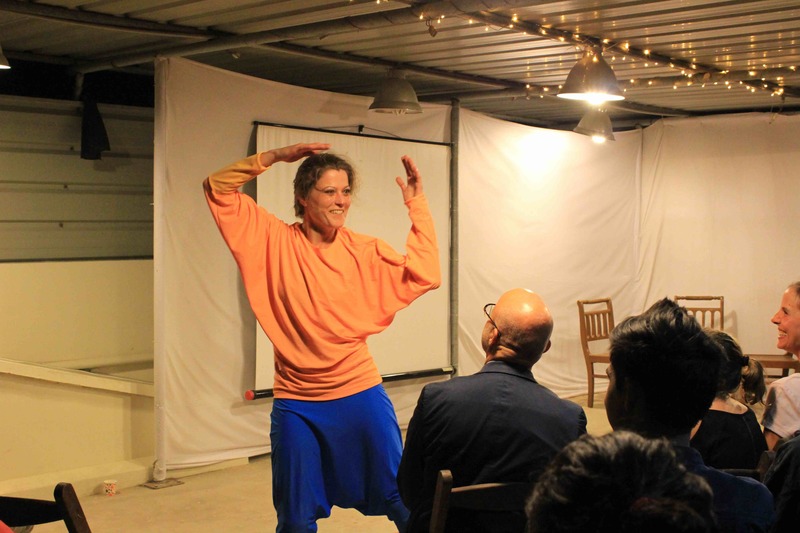 Raether’s works and performances have been shown at various eminent international galleries and public spaces . 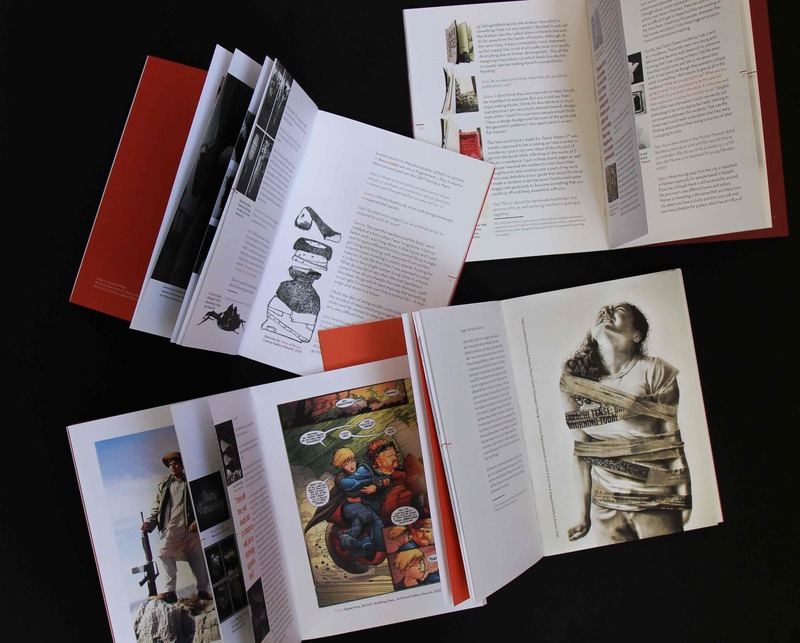 Raether publishes in Texte zur Kunst and is currently Professor at the Kunstakademie in Düsseldorf. 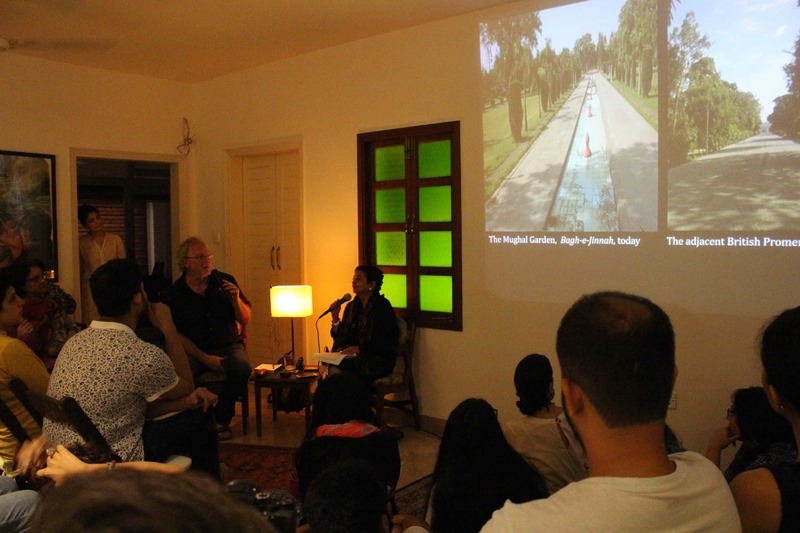 ‘David Alesworth in conversation with Dr. Asma Mundrawala’ took place at the Vasl Residence on Tuesday, August 22, 2017. 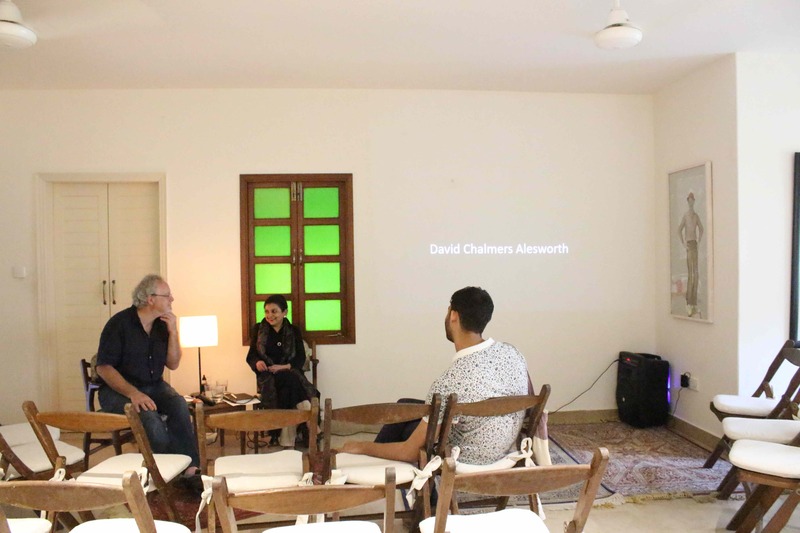 Internationally acclaimed artist, David Chalmers Alesworth spoke about his previous works with visual artist and theatre practitioner, Dr Asma Mundrawala. 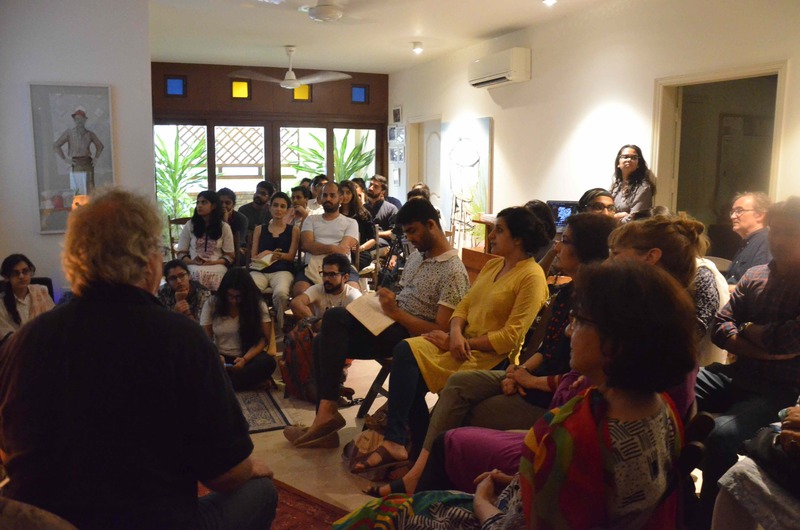 The talk was extremely well attended by both friends and colleagues, as well as art students from Karachi’s universities. 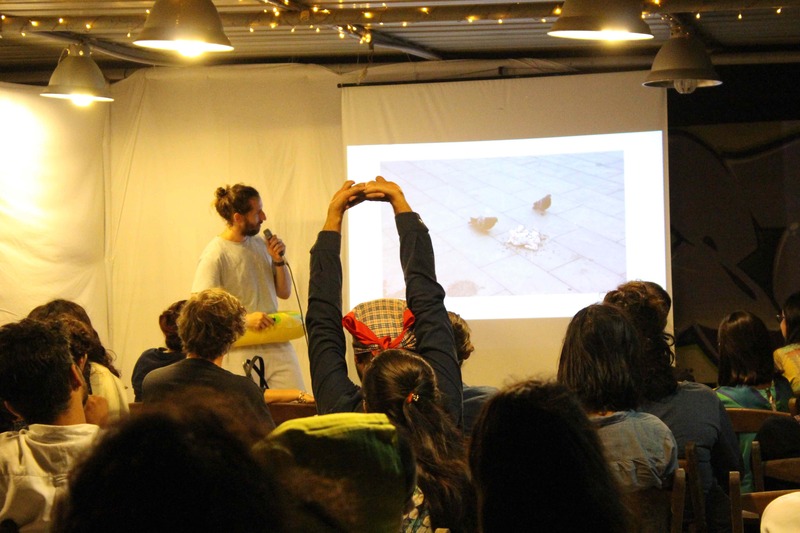 David spoke about his interest in botanical studies, research on gardens and the confluent inspirations from the surrounding natural and urban environments. 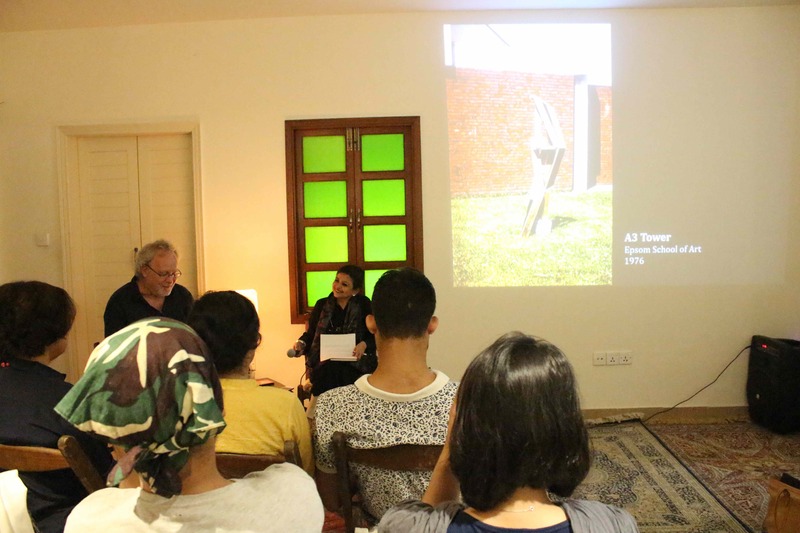 Dr Asma Mundrawala and David Alesworth discussed the progression of his work while sharing images of some of his iconic pieces which were part of the Karachi Pop art movement. 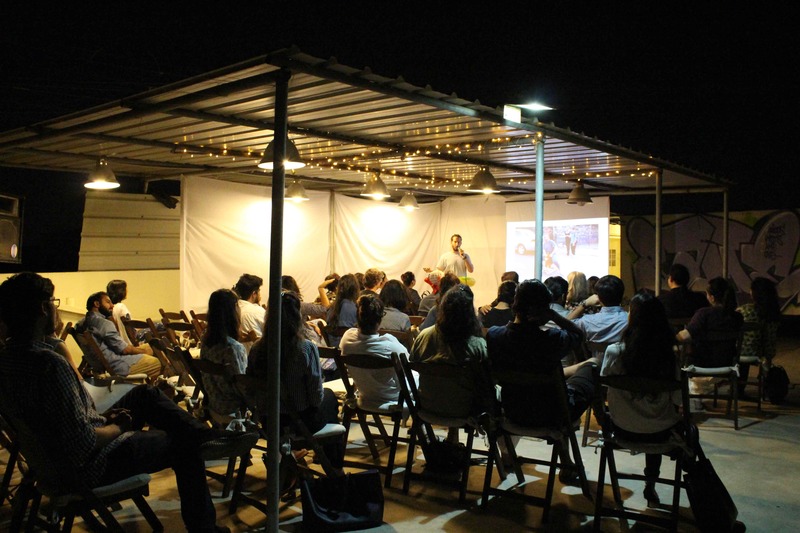 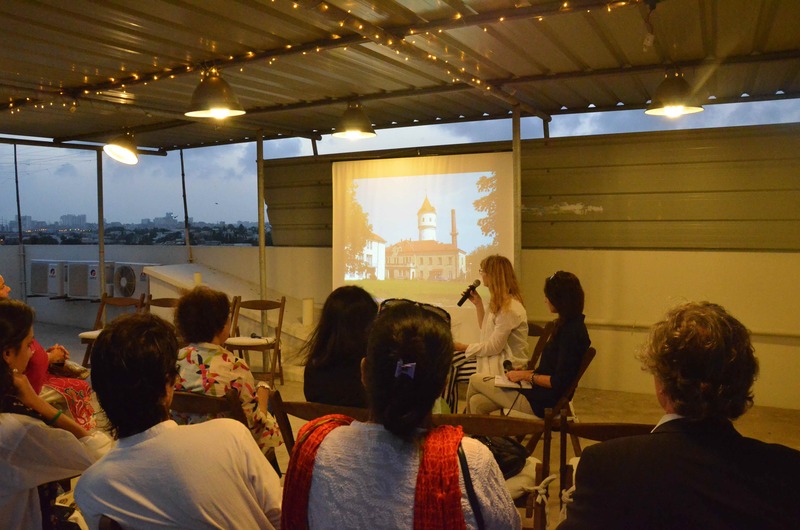 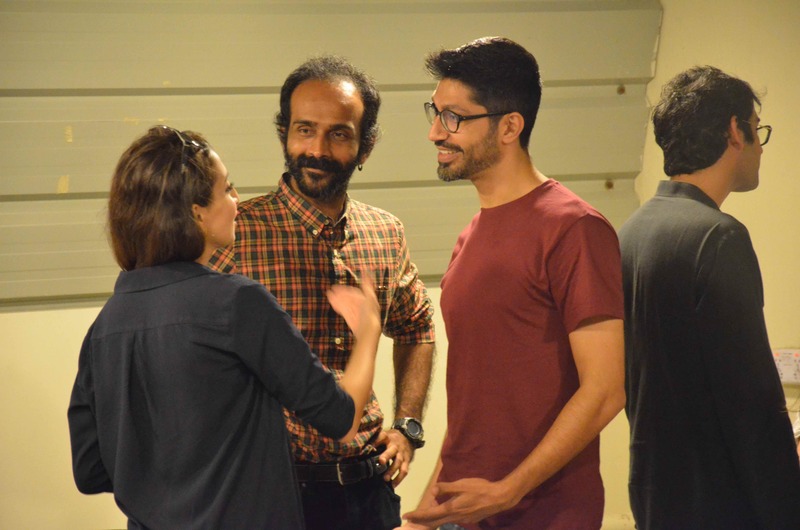 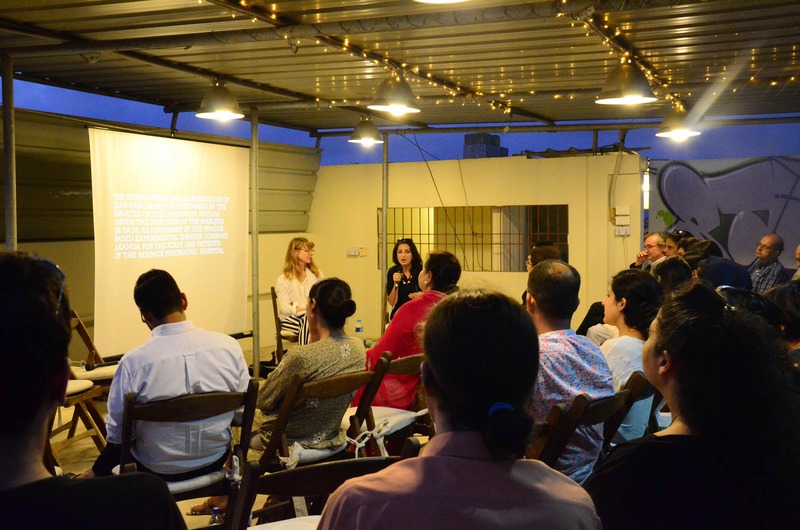 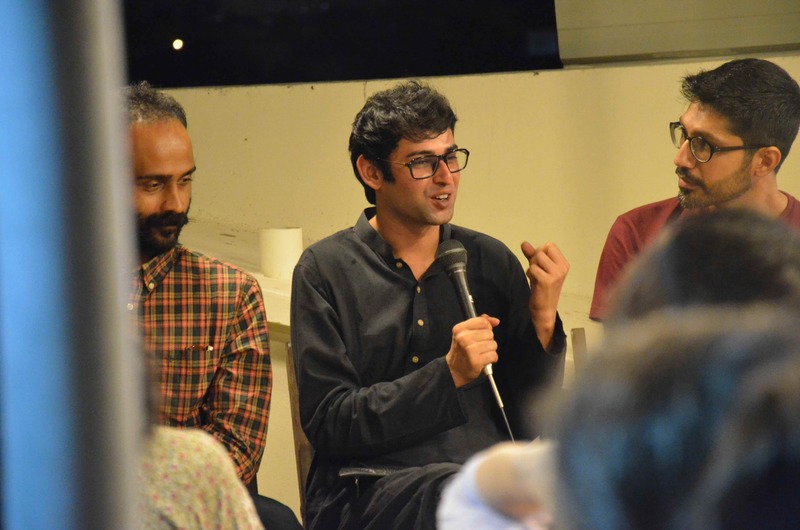 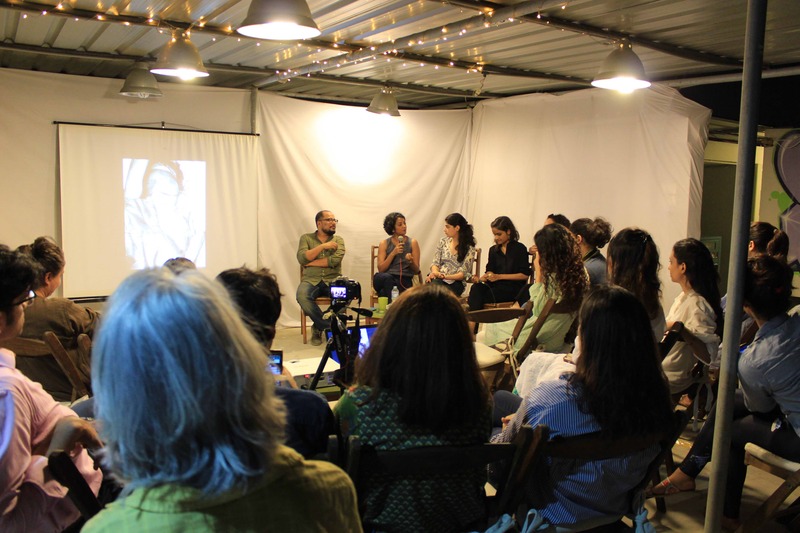 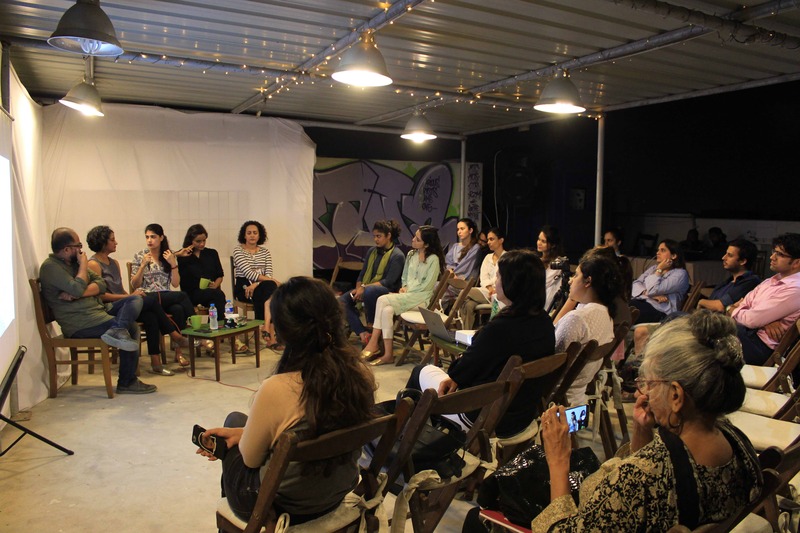 As part of the Vasl Rooftop Series and in support of Karachi Biennale 17, Vasl Artists’ Association hosted a talk titled ‘The Hospital and the Cinema’. 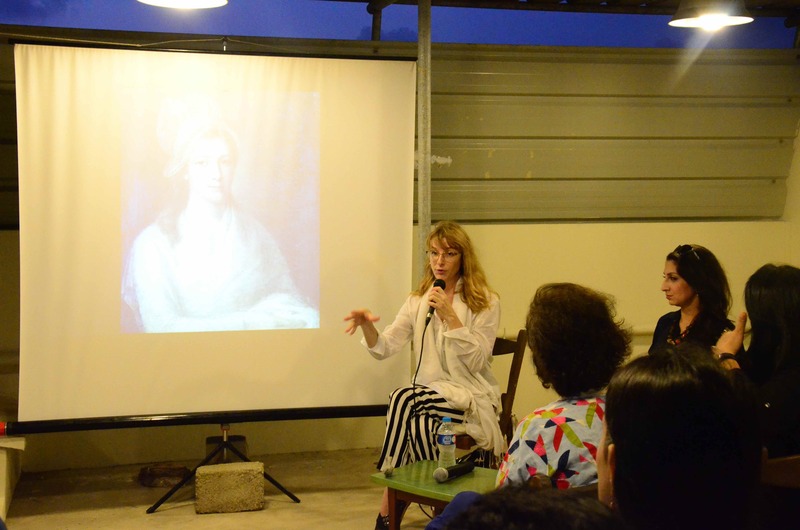 The talk included Vancouver based artist, Althea Thauberger who spoke about her previous works in Prague, Czech Republic with Karachi based curator and art critic Zarmeene Shah at Vasl Artists’ Association on September 6, 2017. 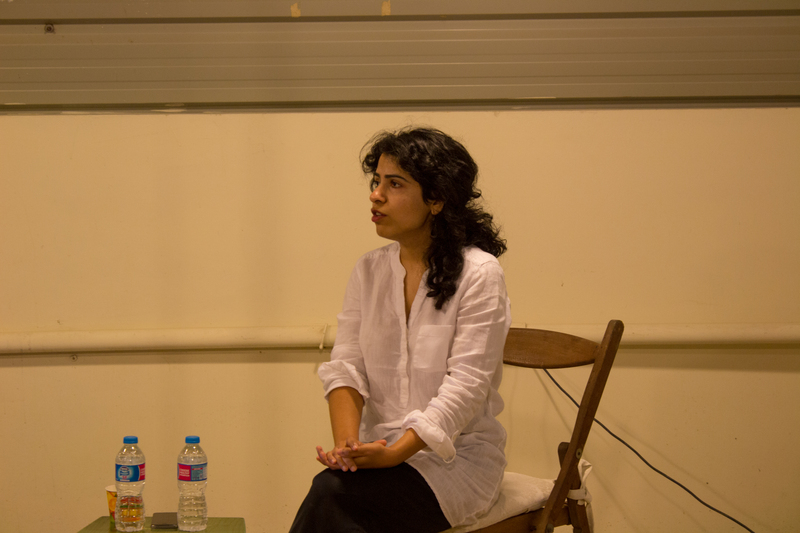 In the first half of the talk, Althea and Zarmeene discussed theatre, film and the role it has played in Althea’s work. 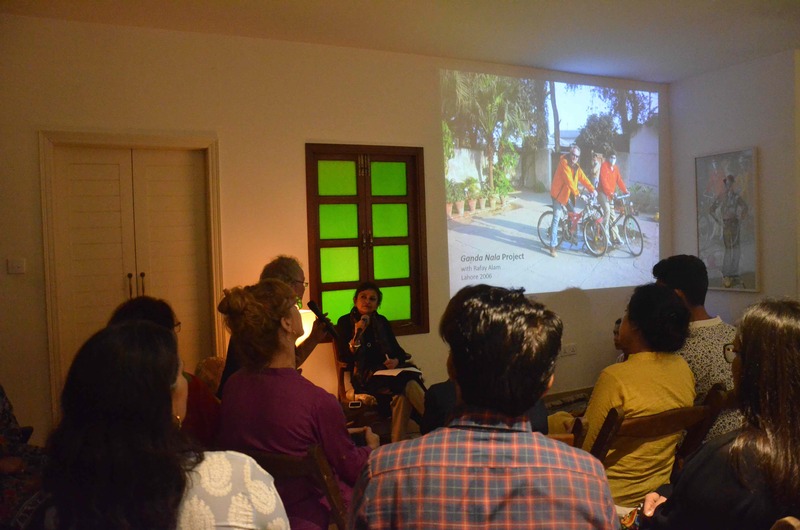 The second half of the talk brought together Althea and her Pakistani collaborators for a film which they were directing as part of Karachi Biennale. 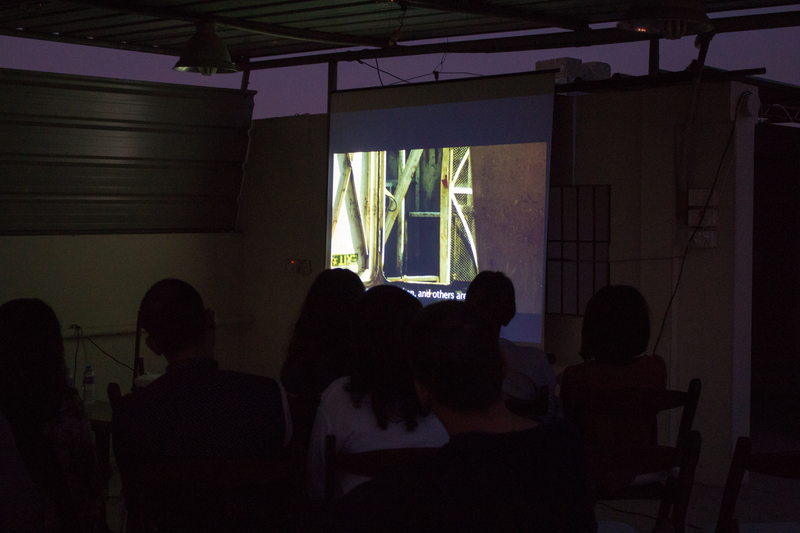 The film explored the history behind a popular cinema on M.A. 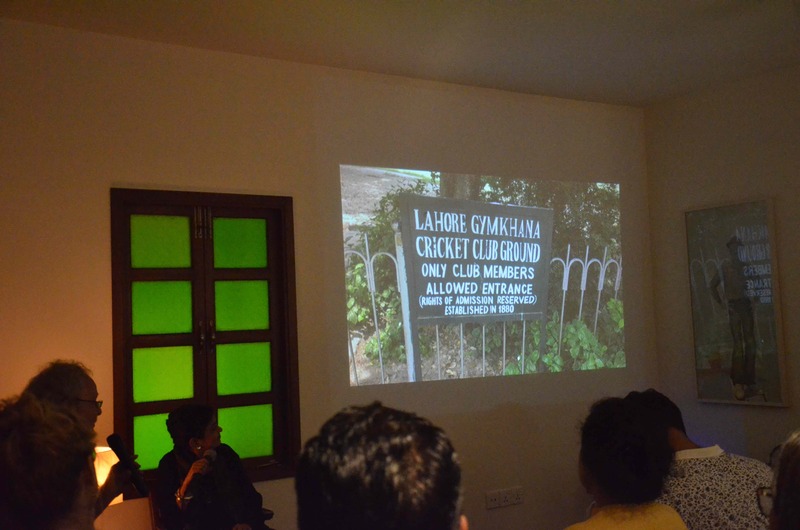 Jinnah Road in Karachi called Capri Cinema. 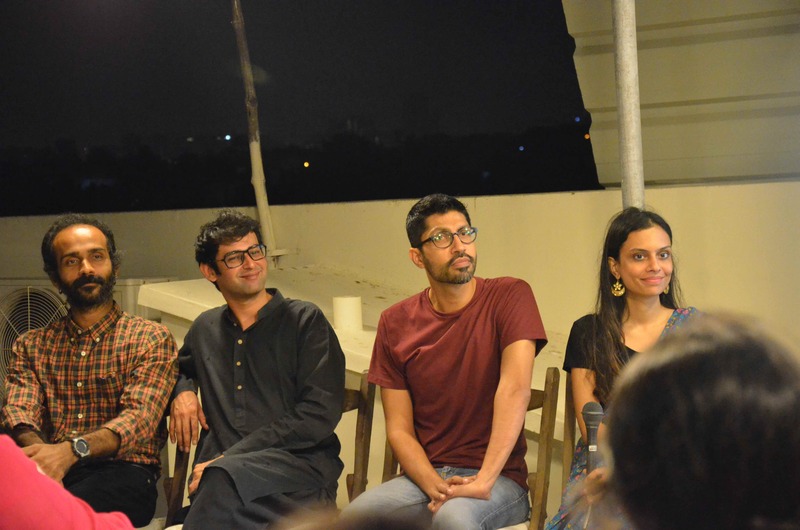 The directors and collaborators for this film were; Syed Ammad Tahir, Momin Zafar, Vajdaan Shah and Zehra Nawab. 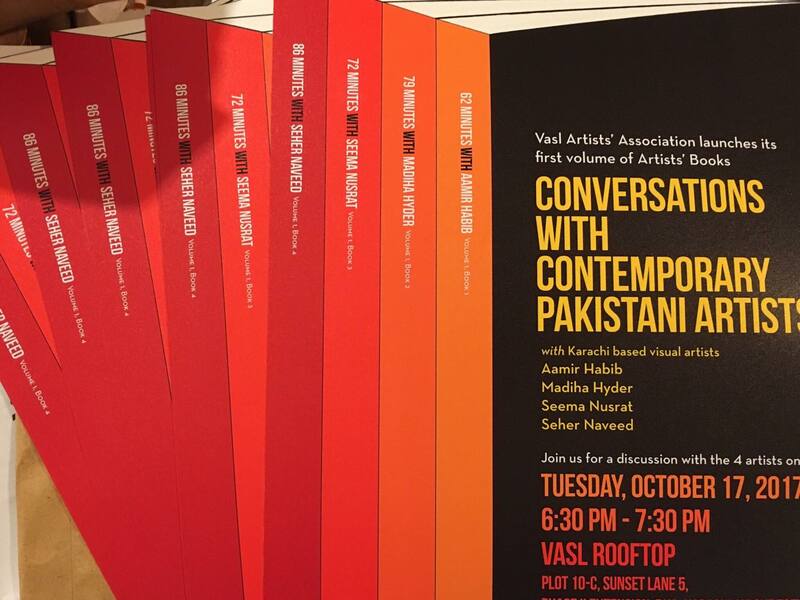 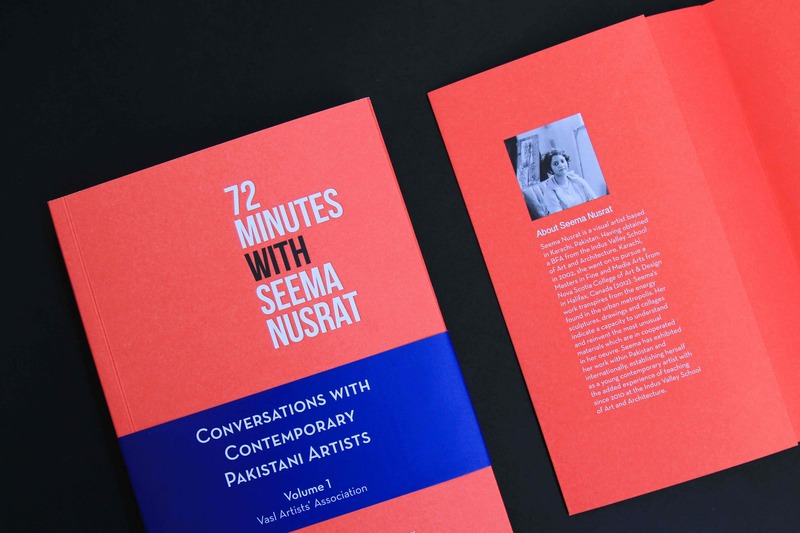 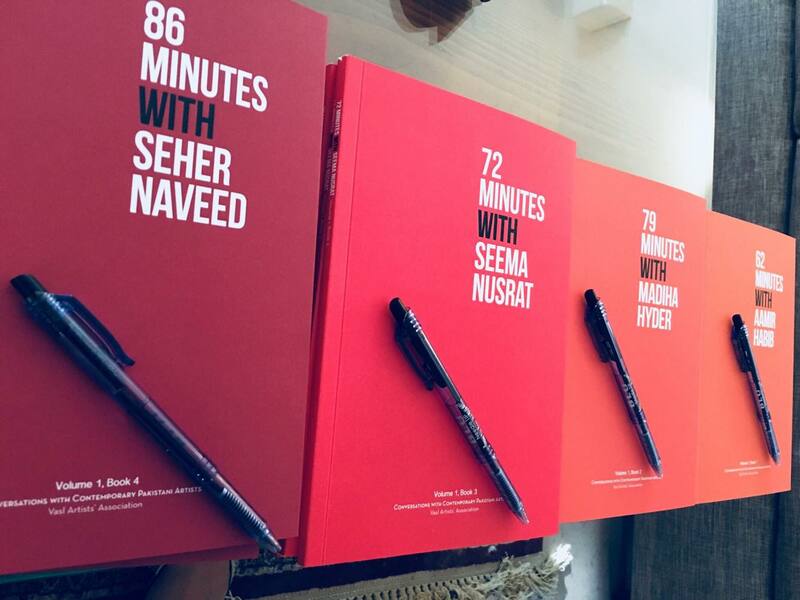 Vasl Artists’ Association launched our first volume of Artists’ Books – Conversations with Contemporary Pakistani Artists Series at the Vasl rooftop with a brief discussion with the four selected artists for Volume 1; Aamir Habib, Madiha Hyder, Seema Nusrat and Seher Naveed. 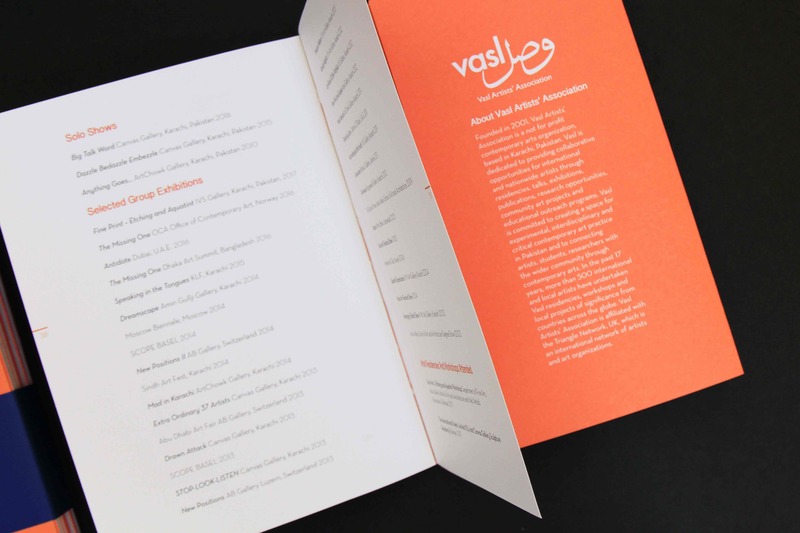 These series of publications were one of Vasl’s many initiatives in 2017 to connect the wider community through research and publications on contemporary art practices. 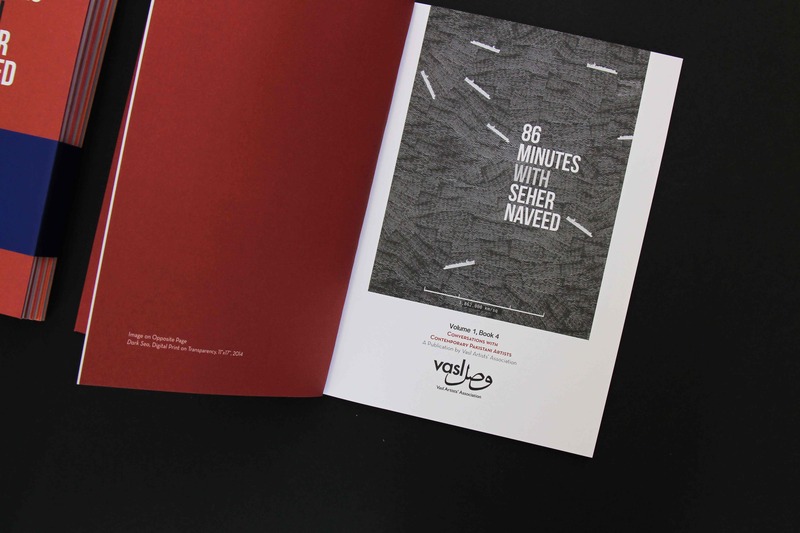 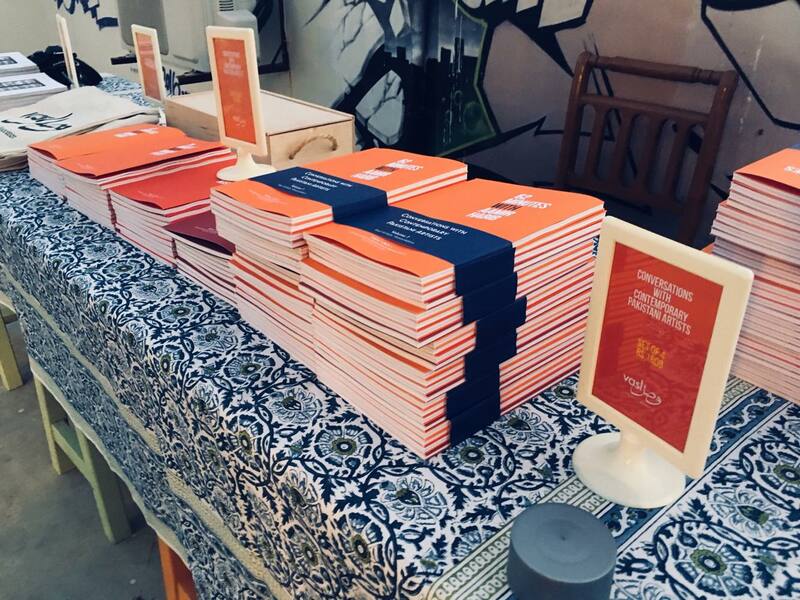 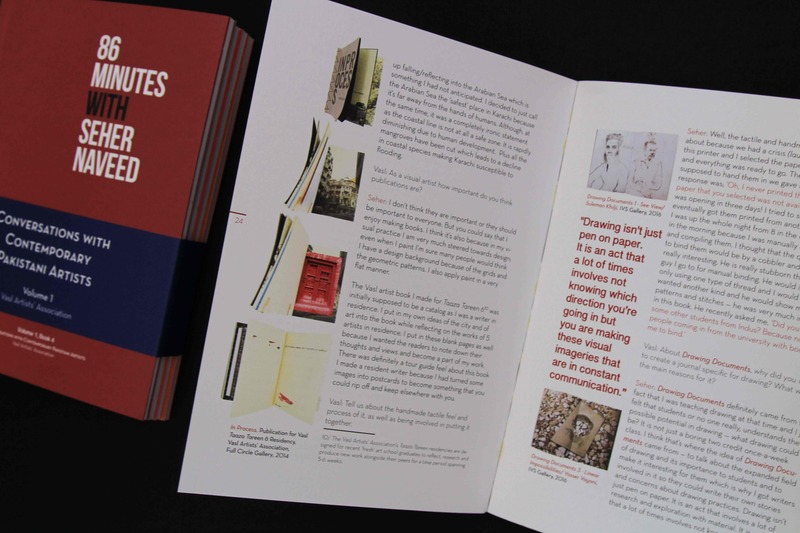 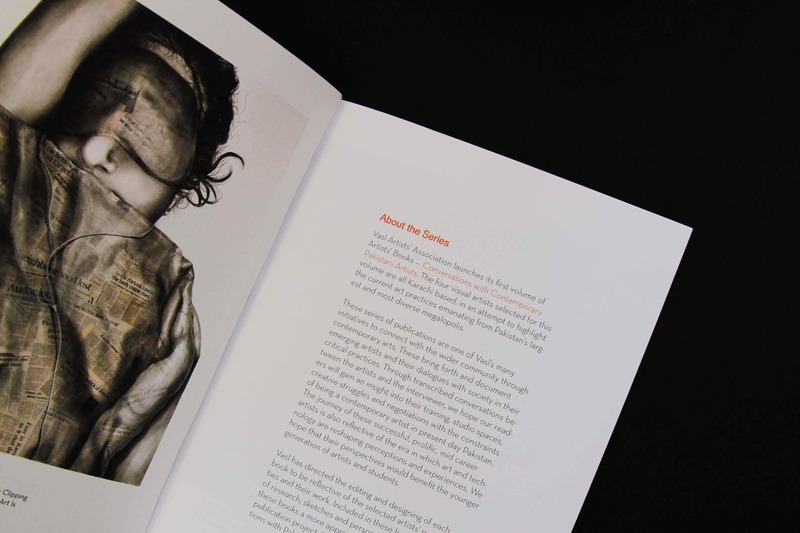 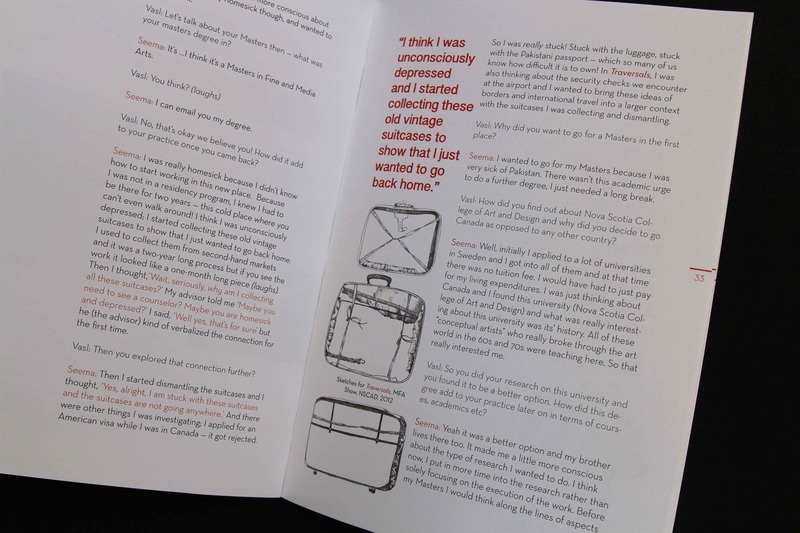 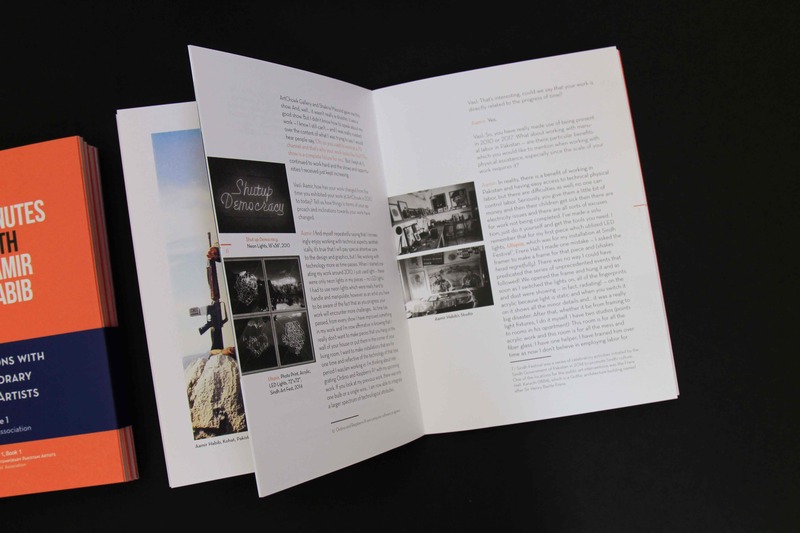 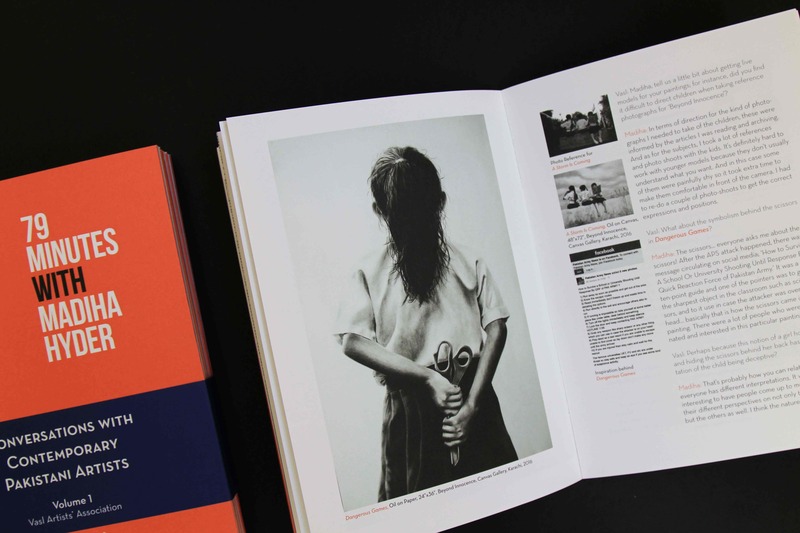 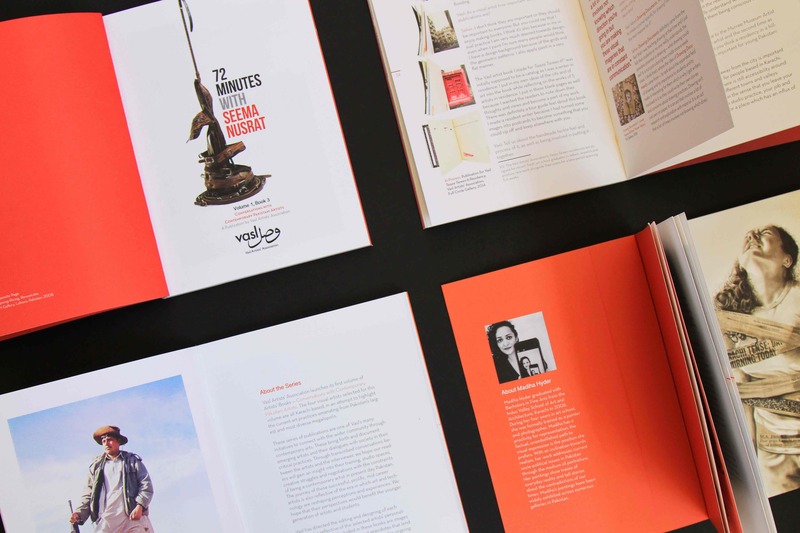 The book launch provided Vasl with the opportunity to discuss the necessity of creating publications such as these in close collaboration with artists. 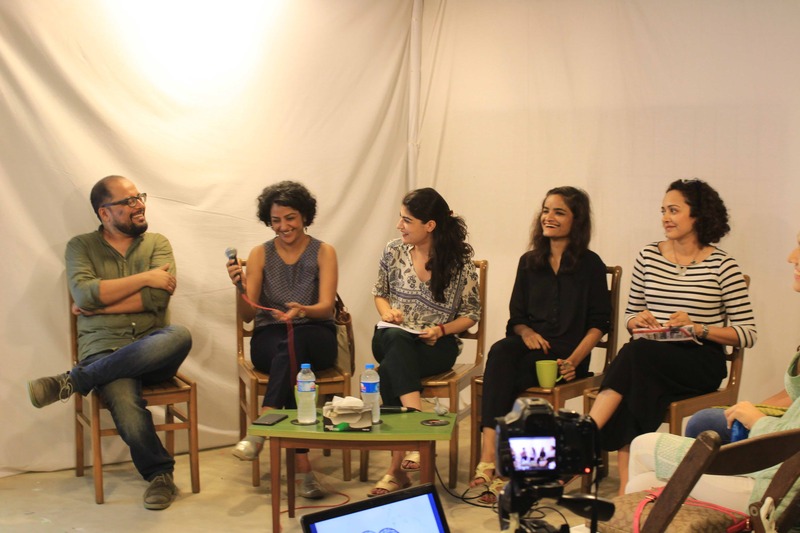 During the discussion, each artist spoke about their personal journeys in the art world and certain difficulties which they overcame. 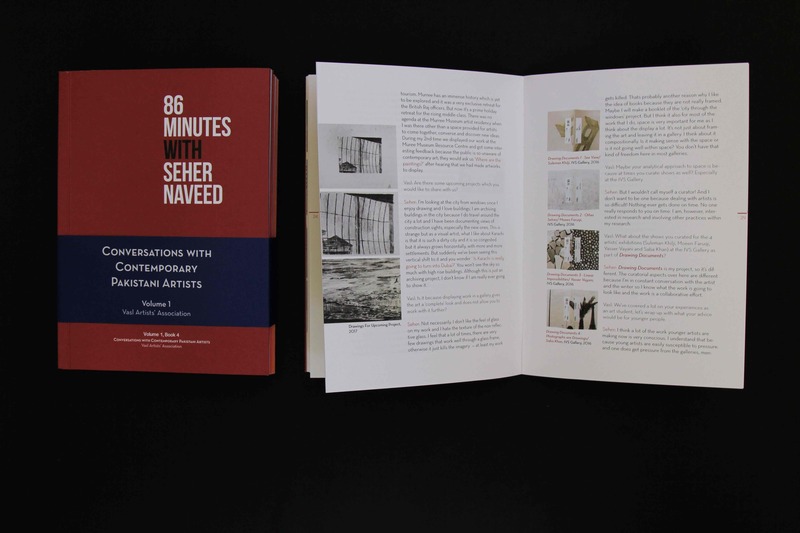 References from the books were utilized to highlight each artists’ individual approach and their interests in various spectrums of contemporary art and research. 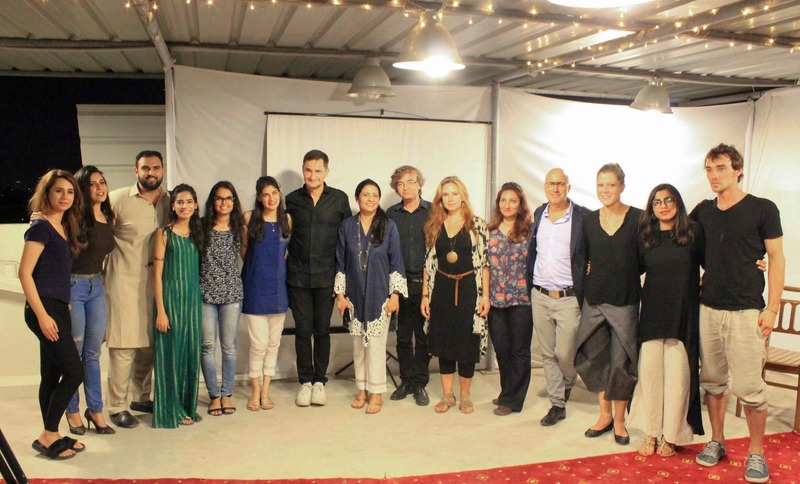 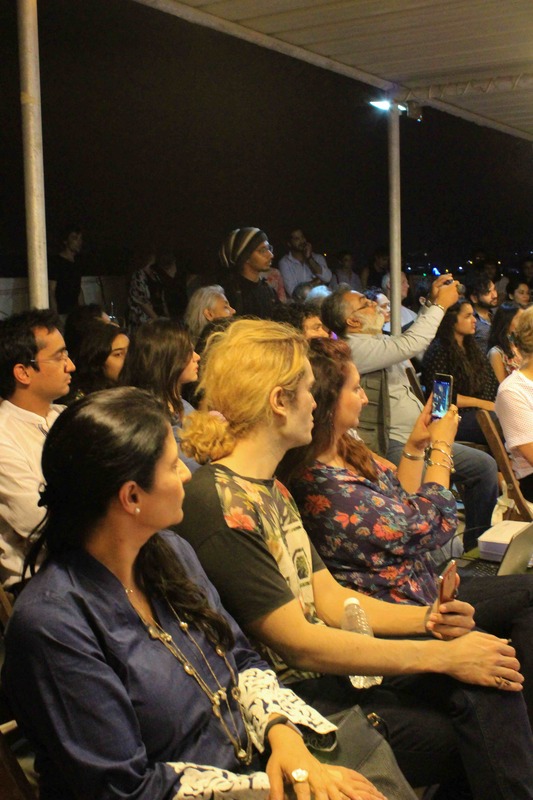 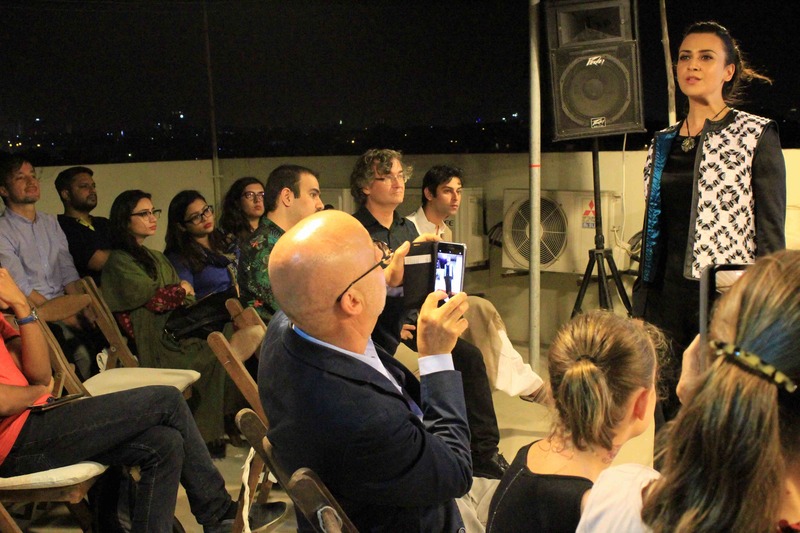 Vasl Artists’ Association in collaboration with Goethe-Institut Pakistan hosted Pakistan-German Salon | Music, Fashion and Art’ on October 25th, 2017, as part of the Vasl Rooftop Talk Series. 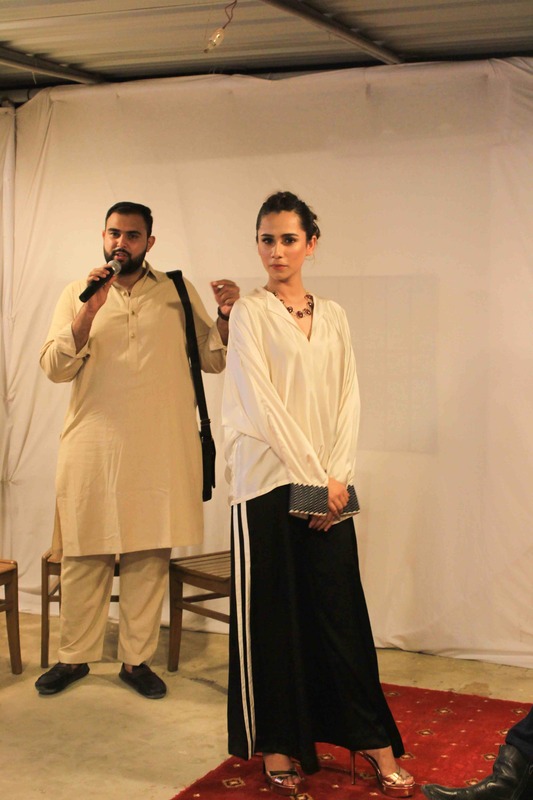 The evening began with German fashion and social designer, Miro Craemer introducing his new collection in collaboration with Pakistani designer, Waqar Khan. 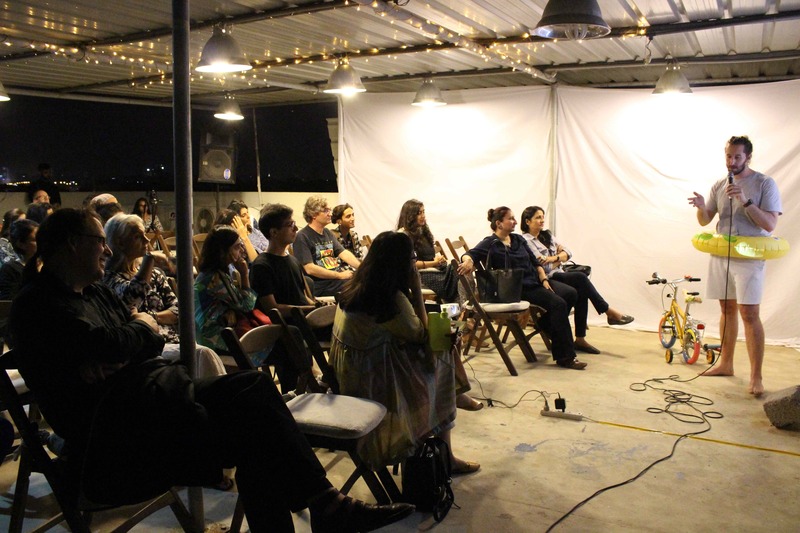 The collection, ‘Sky over Karachi’ was accompanied by Pablo Lauf’s music. 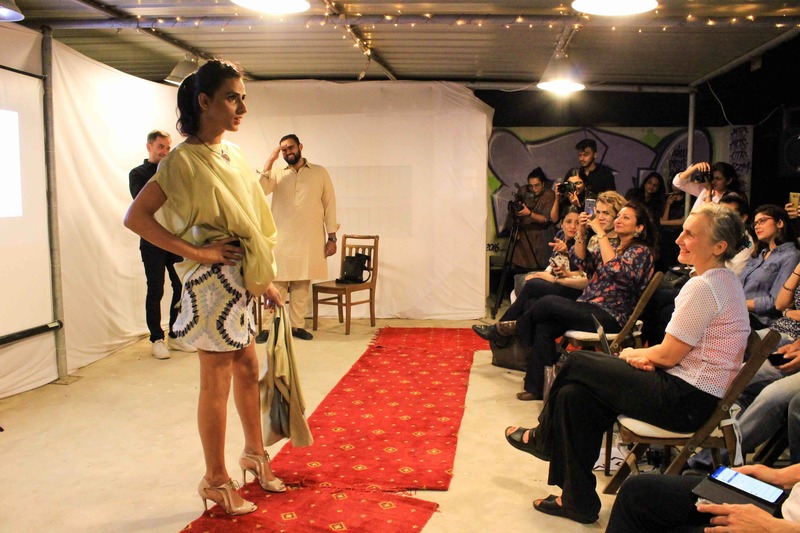 The clothes were made through leather outsourced from Munich and different forms of silks and cotton made in Pakistan. 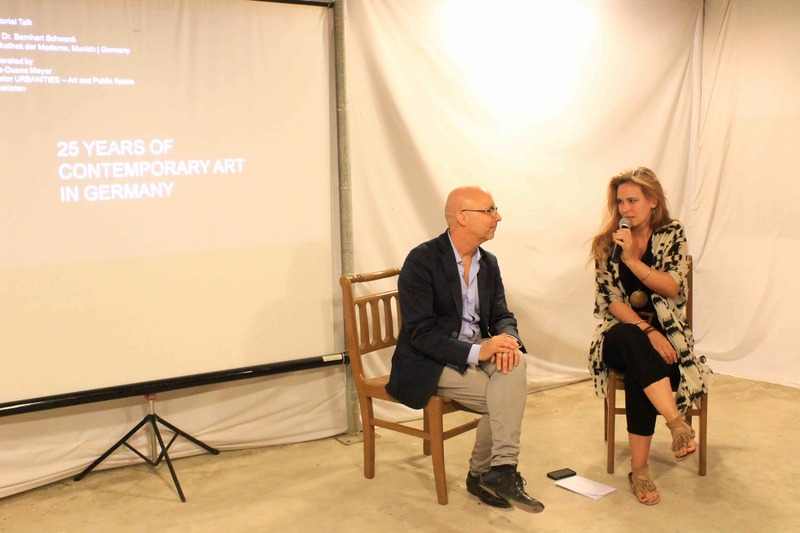 Curators Sara-Duana Meyer (Cairo, Egypt ) and Dr. Bernhart Schwenk (Munich, Germany) held a discussion revolving around “25 Years of Contemporary Art in Germany” Simon Otto (Munich, Germany). 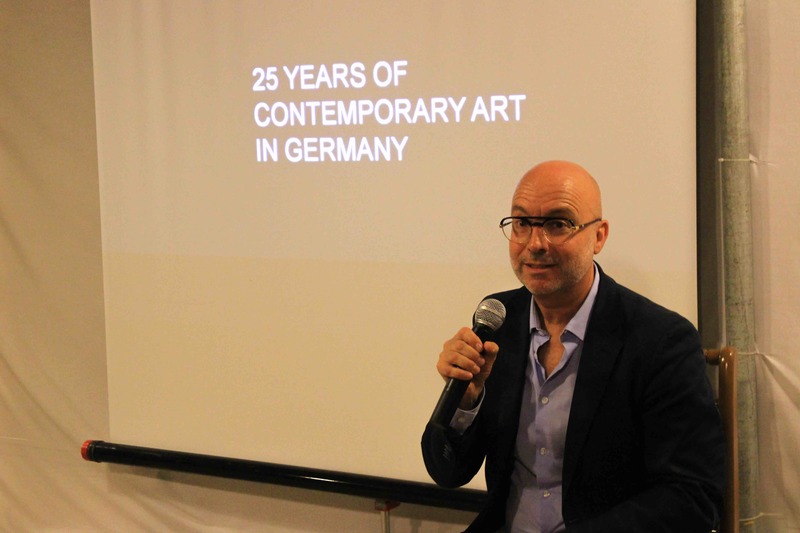 Dr. Bernhart Schwenk spoke about his work at the Pinakothek der Moderne while Sara-Duana Meyer spoke about the ‘Urbanities’ project which brought together German artists through the context of cities and their constant evolution. 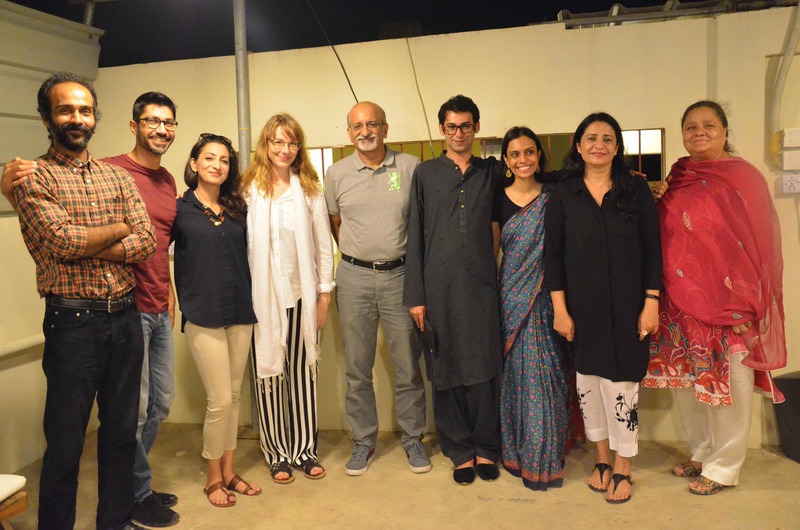 German performance artists Simon Otto and Katrin Schafitel designed a short dance piece for the Vasl Rooftop event as they were attending the Karachi Biennale for a specific project, called (OVERxCOM) “Moves”. 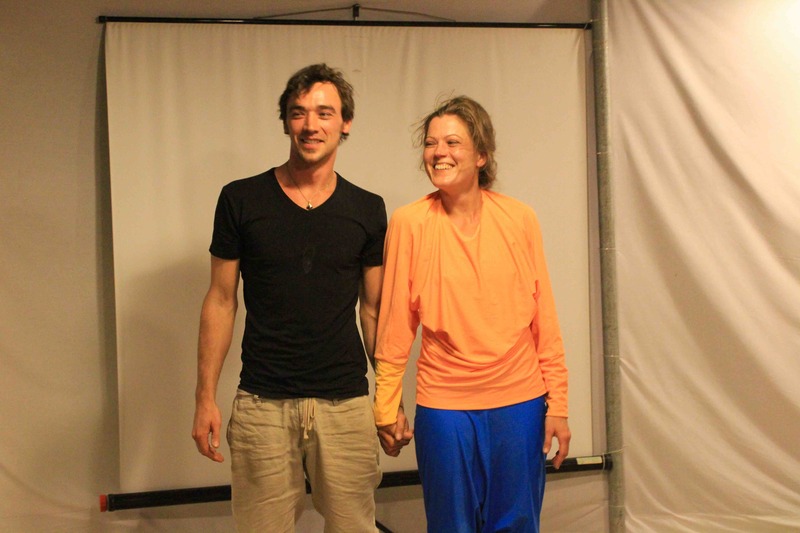 Vasl’s resident artist Karin Kasbock as part of Berlin based artist duo, Bankleer, presented her work and previous bodies of performances. 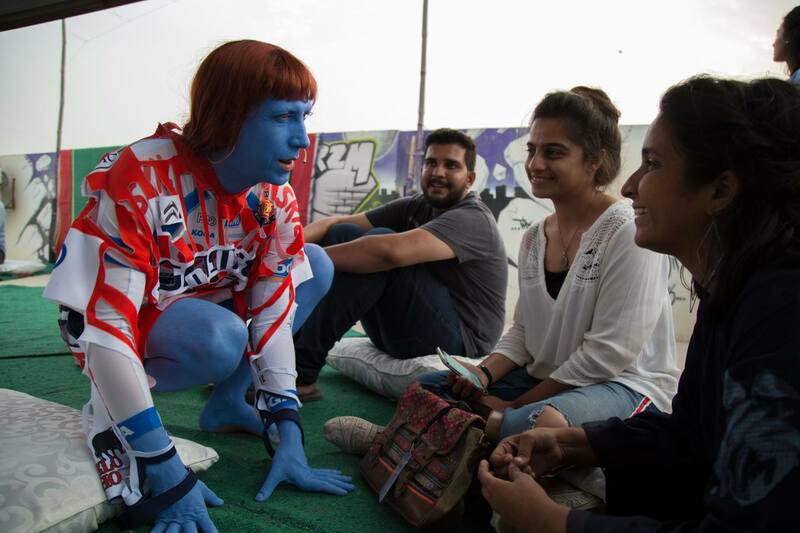 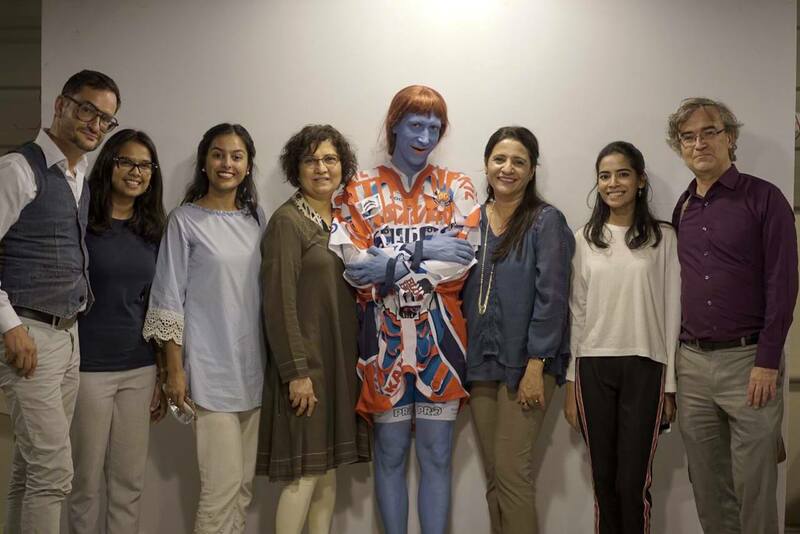 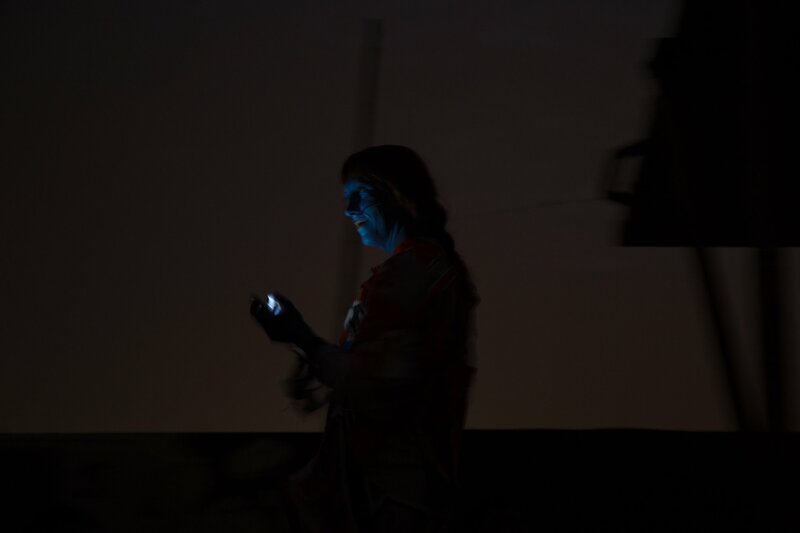 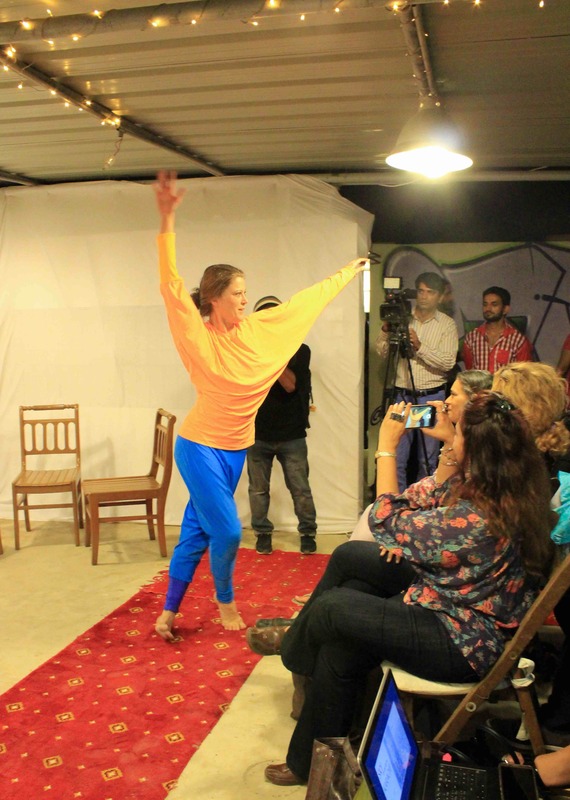 Karin was also present in Karachi as an artist for the Karachi Biennale as her performance ‘The Thing’ was held at the NJV School for the duration of one week. 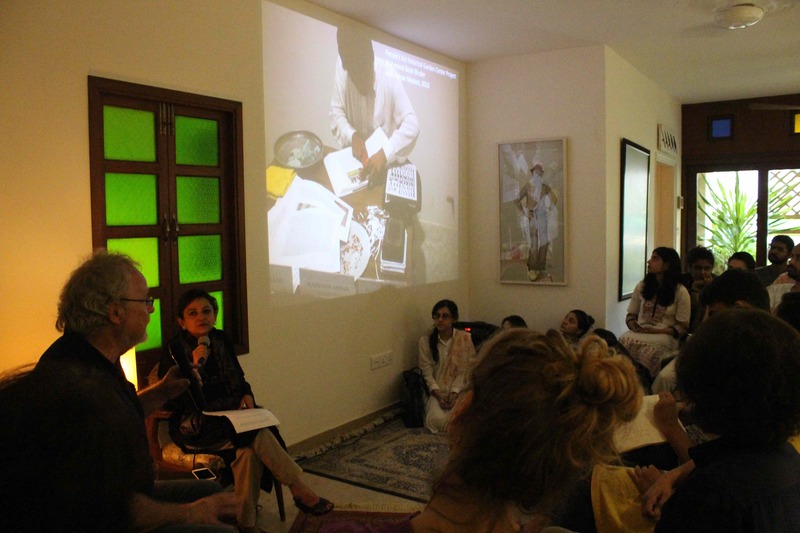 Towards the end of the evening, a feedback session was held on ‘’Cord of Desires’’ which was a project facilitated by Vasl Artists Association for 2016 resident artist, Miro Craemer in response to the Baldia Factory Fire of 2012 in Karachi. 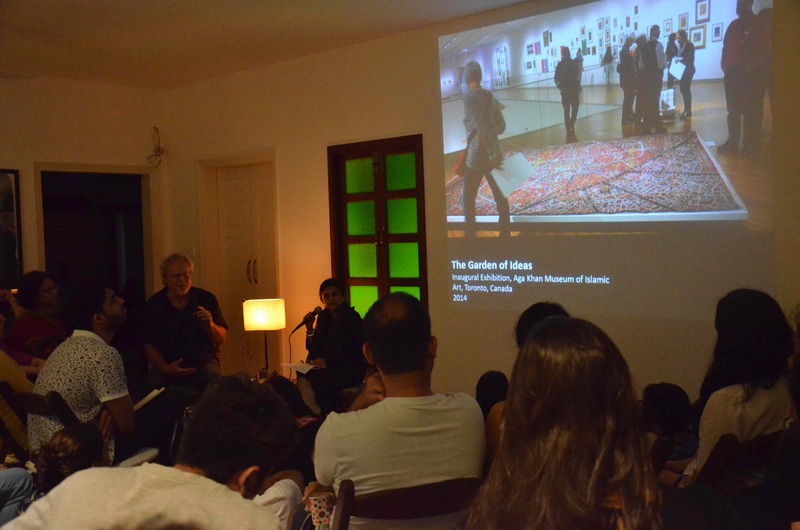 Miro Craemer and his collaborators, Manizhe Ali, Hira Khan (Project Coordinator at Vasl Artists’ Association) and Mahwish Ali spoke about their contributions to the project and its extensions which lead to a seminar and exhibition at the Textile Industry Museum of Augsburg, Germany in 2017.